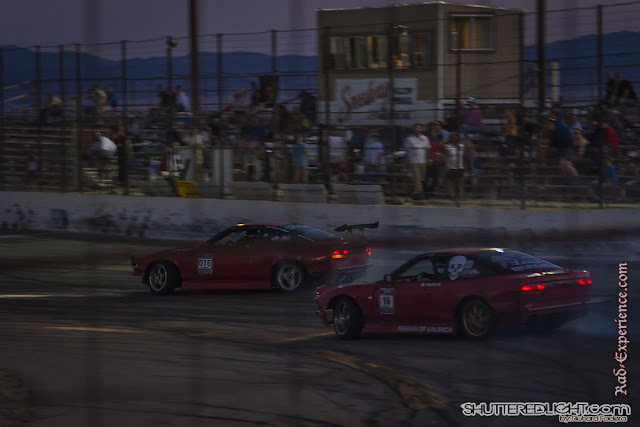 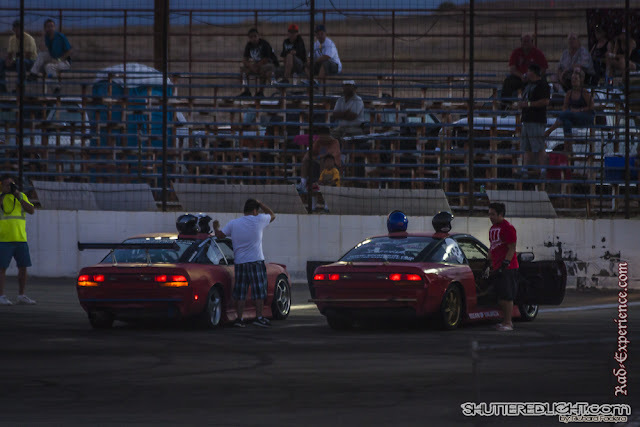 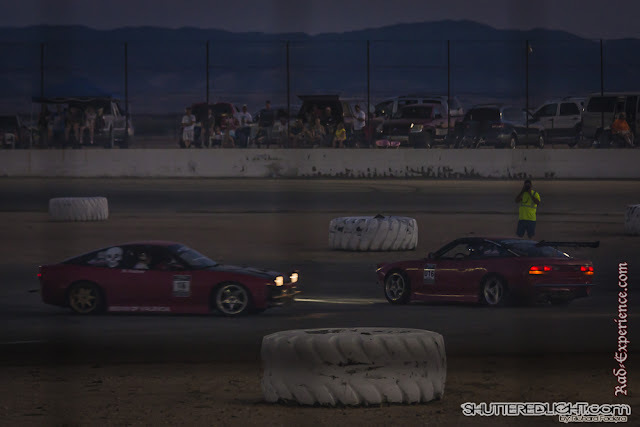 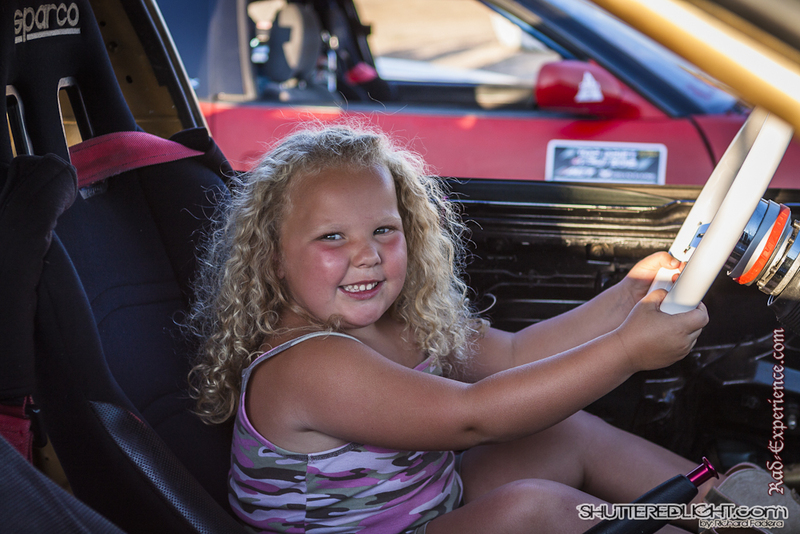 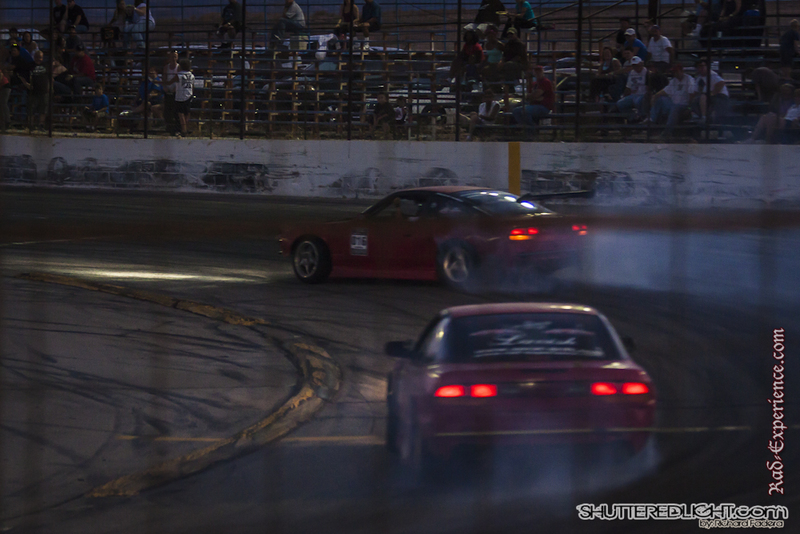 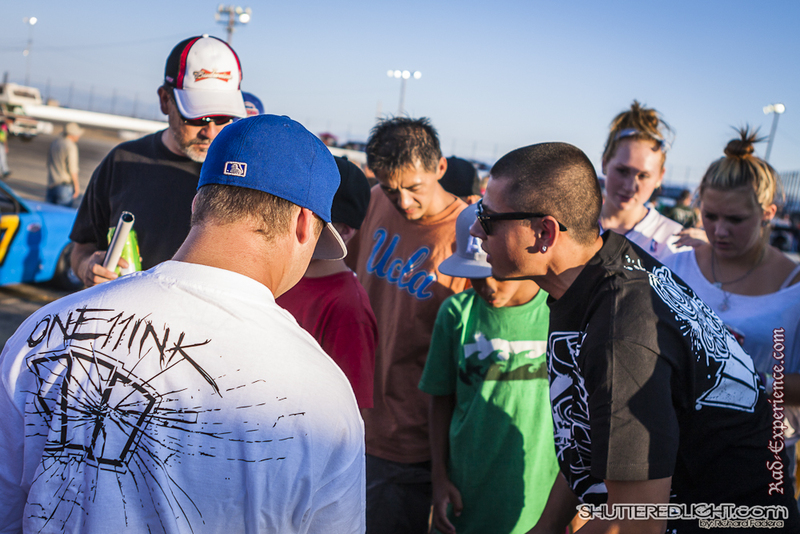 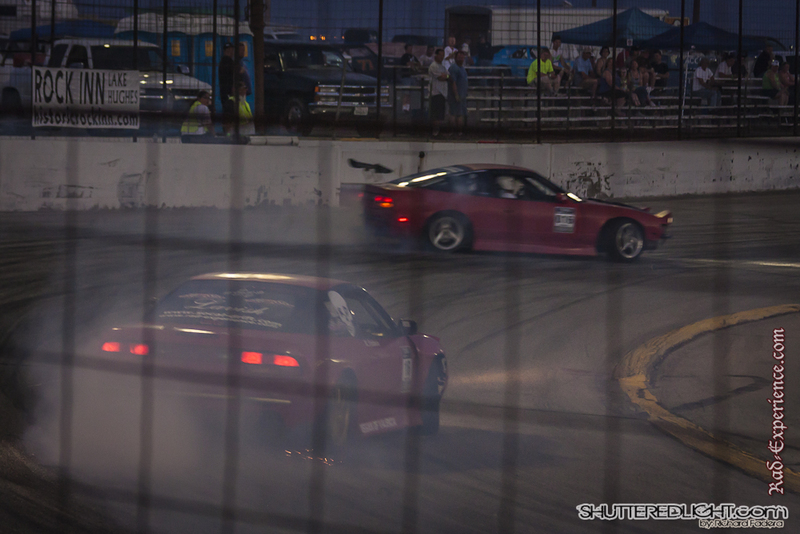 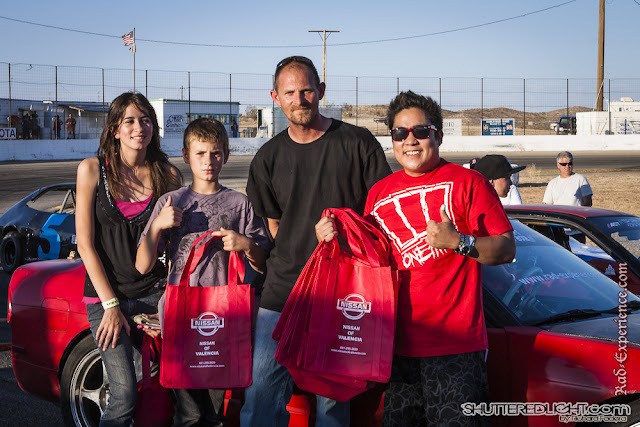 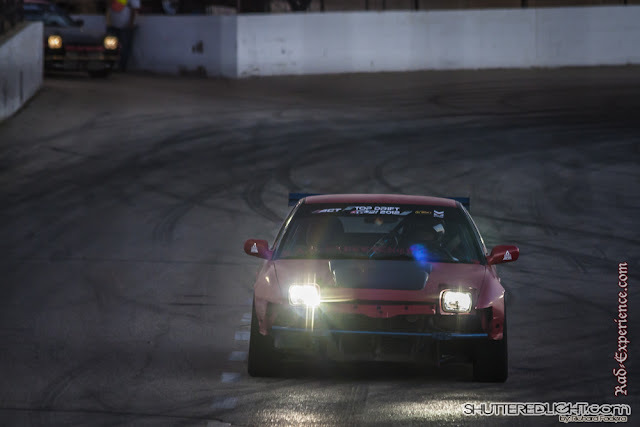 RAD Experience had a drift demo at the Walt James Stadium of Willow Springs International Raceway on July 21, 2012 for Speedway Willow Springs. 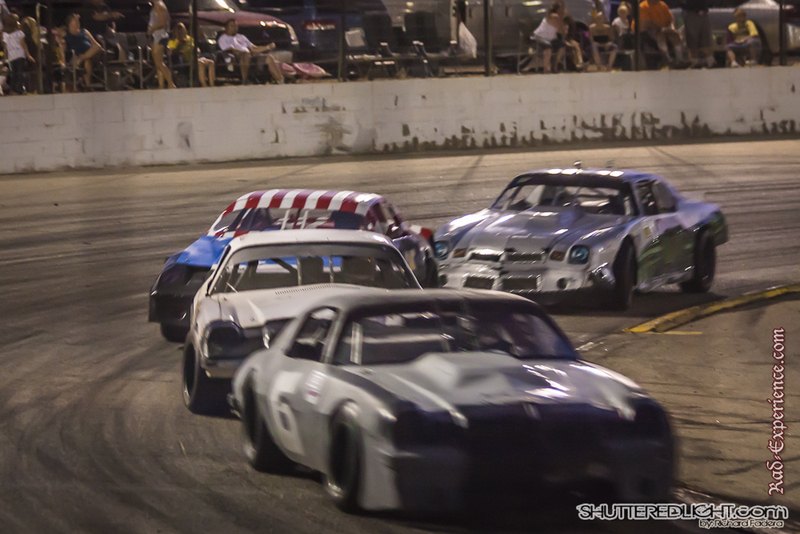 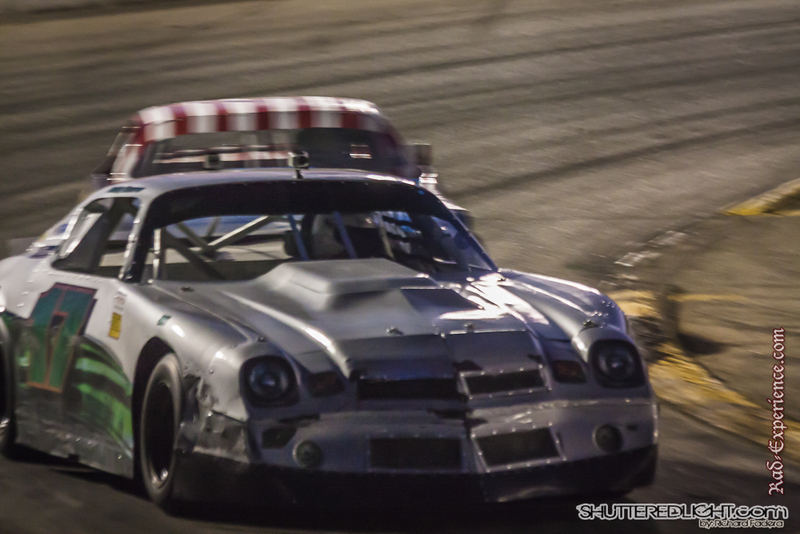 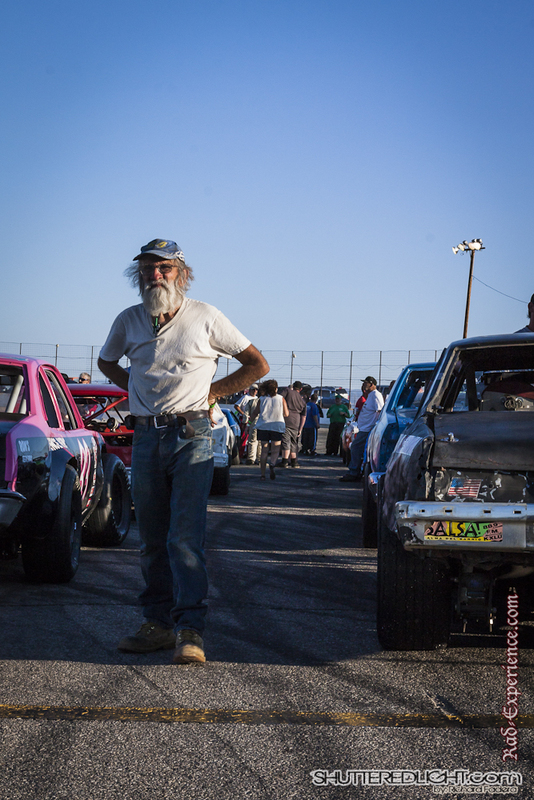 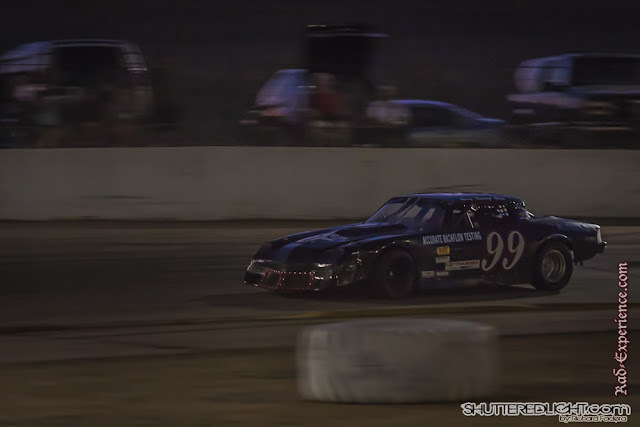 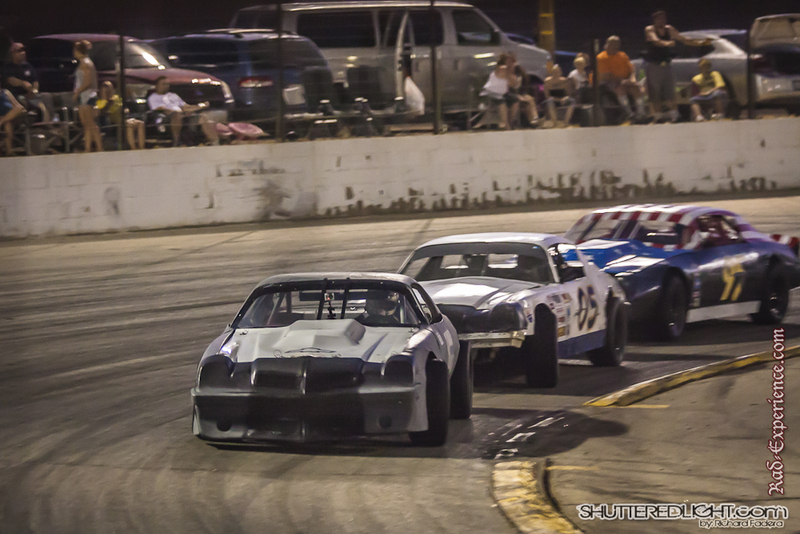 The event is mainly a race for stock cars. 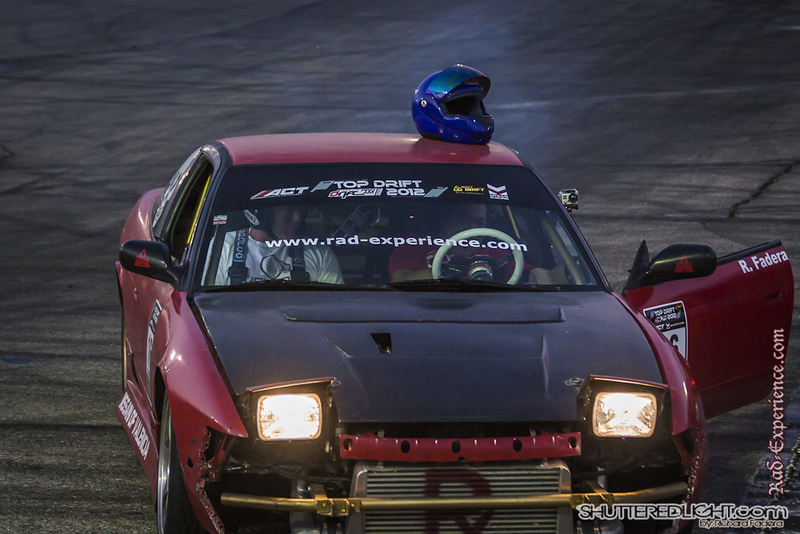 RAD Experience were invited once again to do a drift demo. 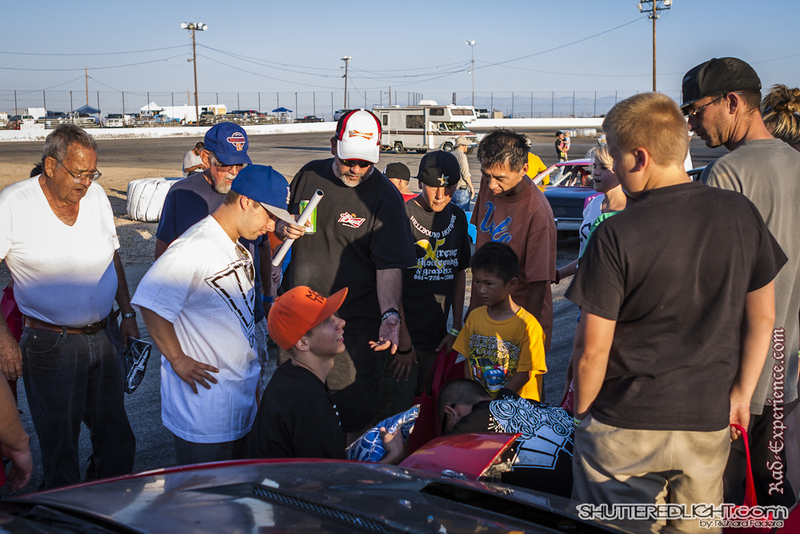 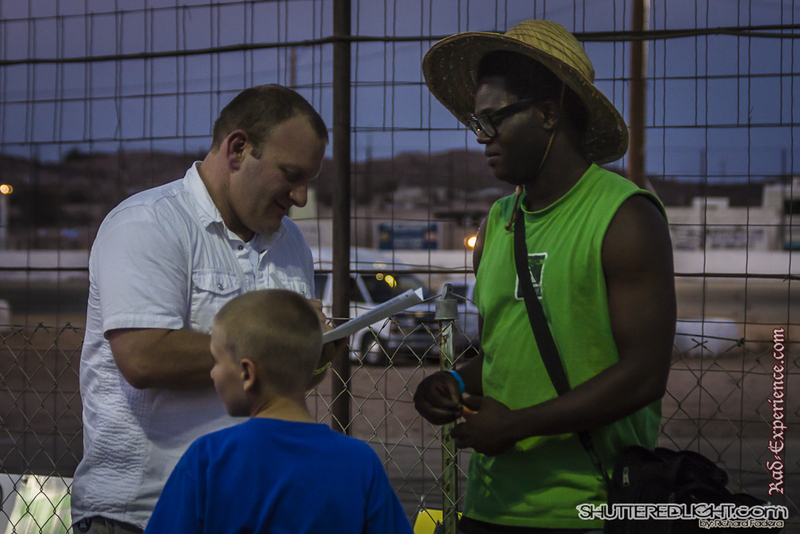 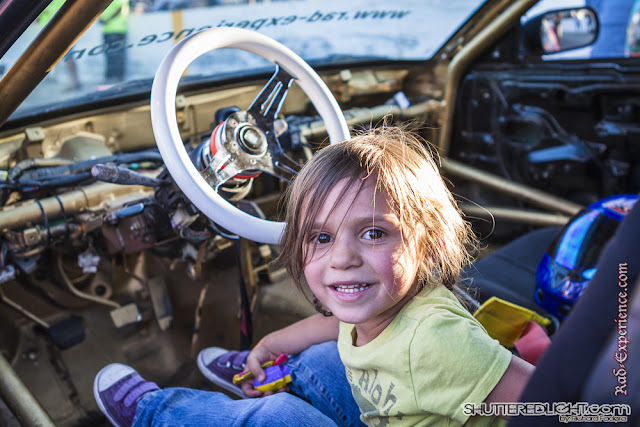 Before the main event, the fans and spectators had a chance to meet the drivers and check out the race cars. 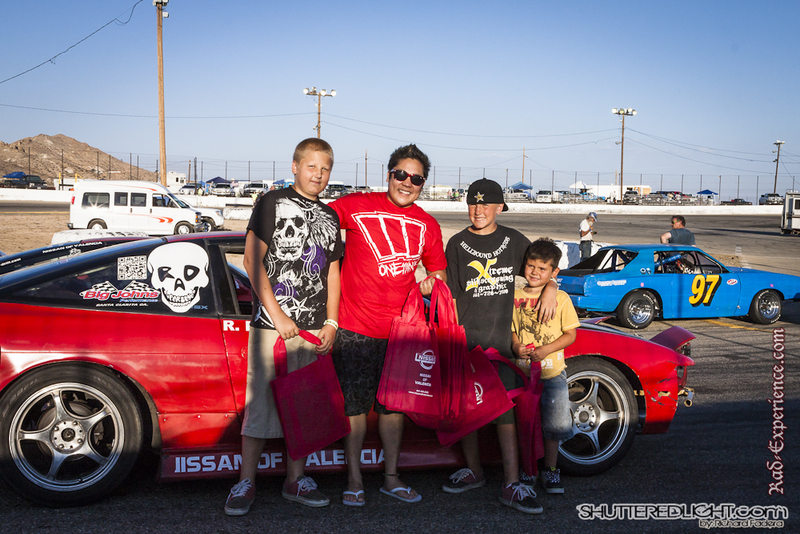 Our sponsors, Nissan of Valencia and Big Johns Tires and Performance have goodies for the crowd. 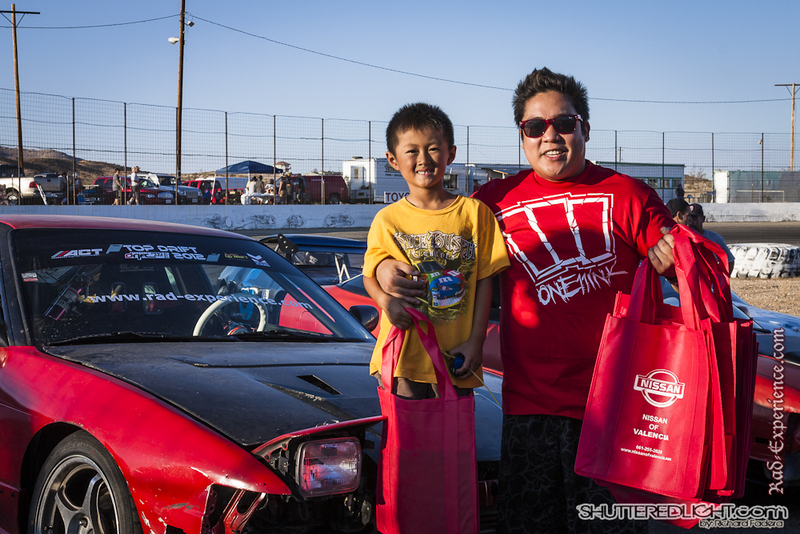 We gave out bags, pens and even t-shirts from one11ink! 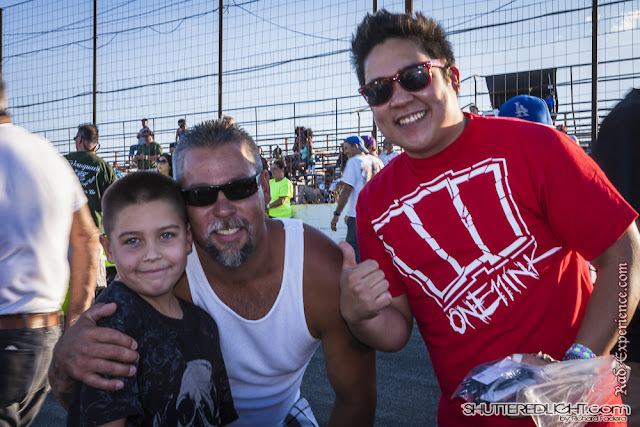 Here Jager Patalano and his friends from one11ink distributing t-shirts. 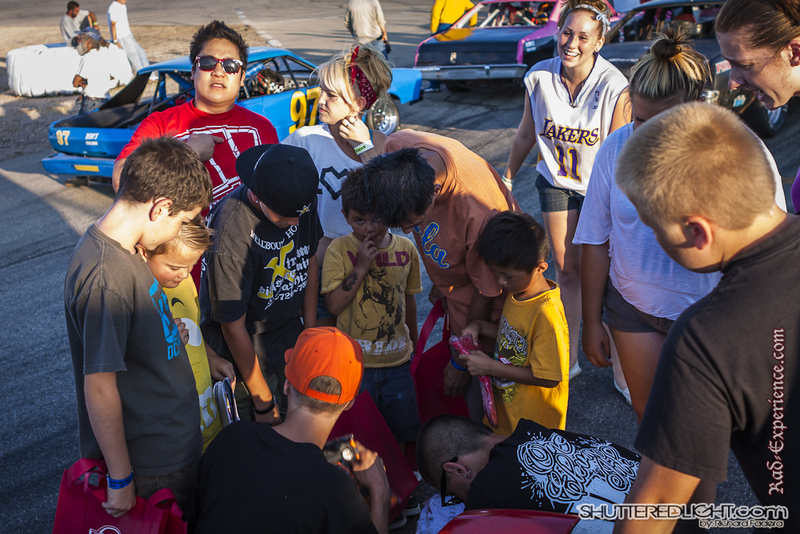 After meeting up with the fans and spectators, time to replace new tires for the demo. 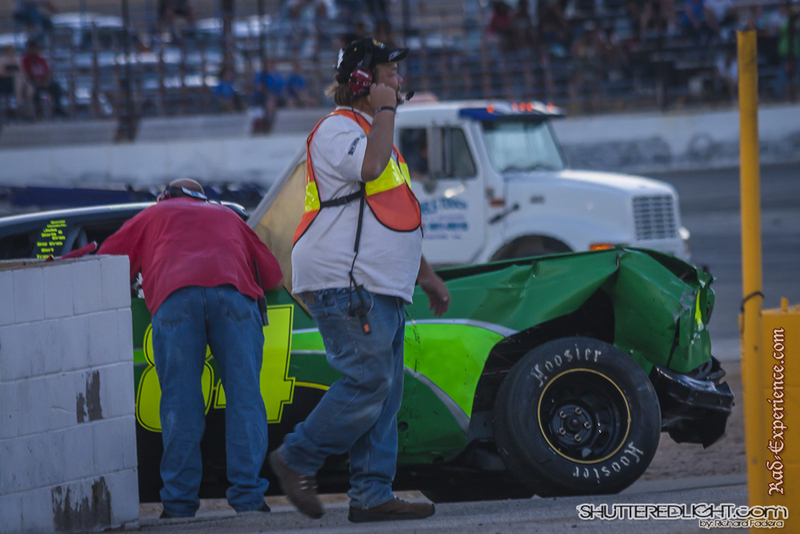 There were several crashes before we hit the track. 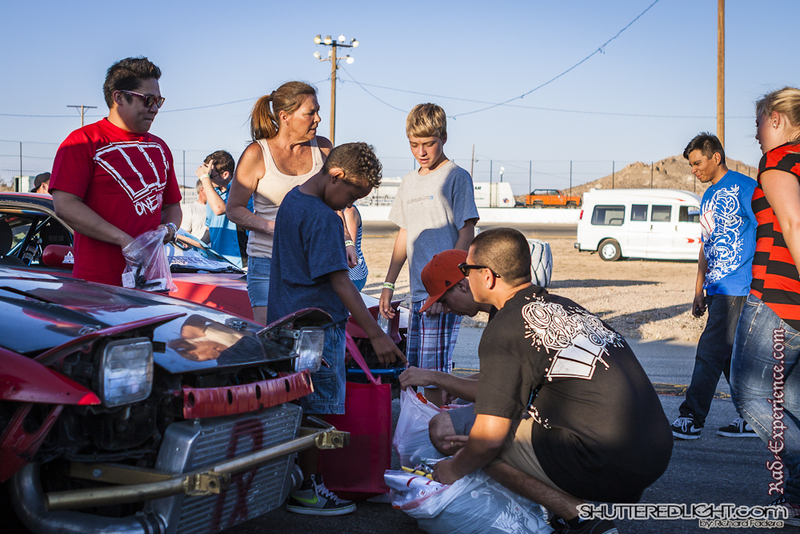 After the track was cleared, we were asked to do our thing. 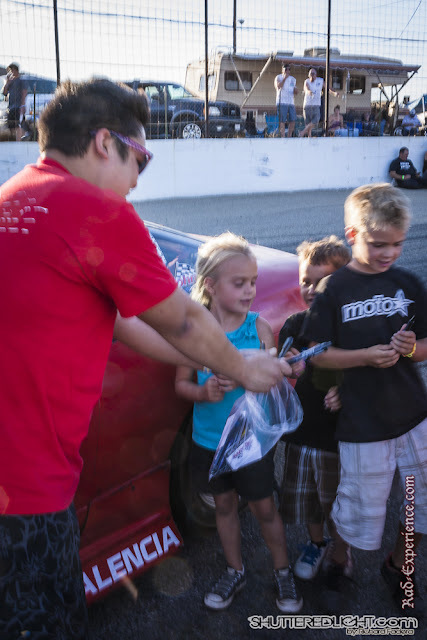 We also had a raffle to have ride-alongs during the demo. 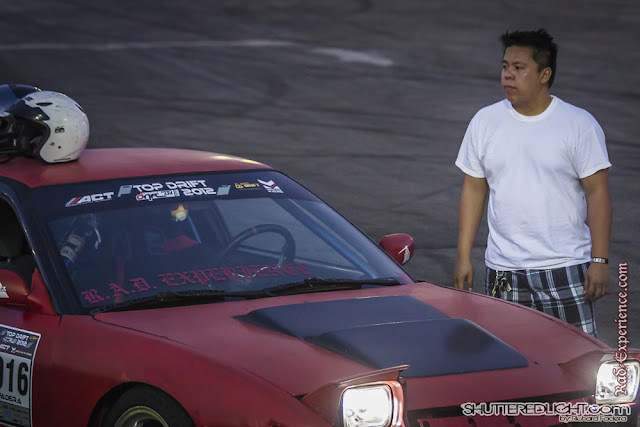 Richard waiting for his passenger. 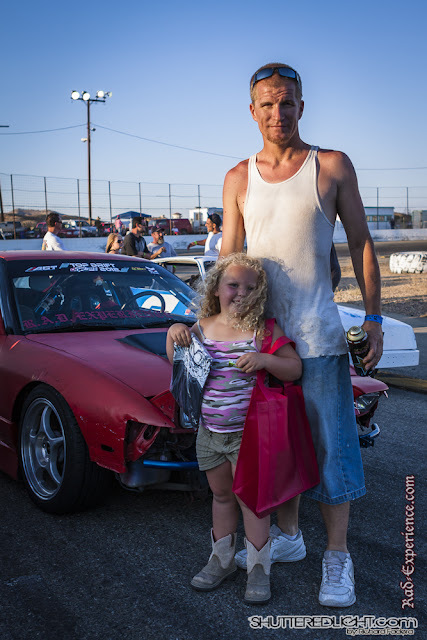 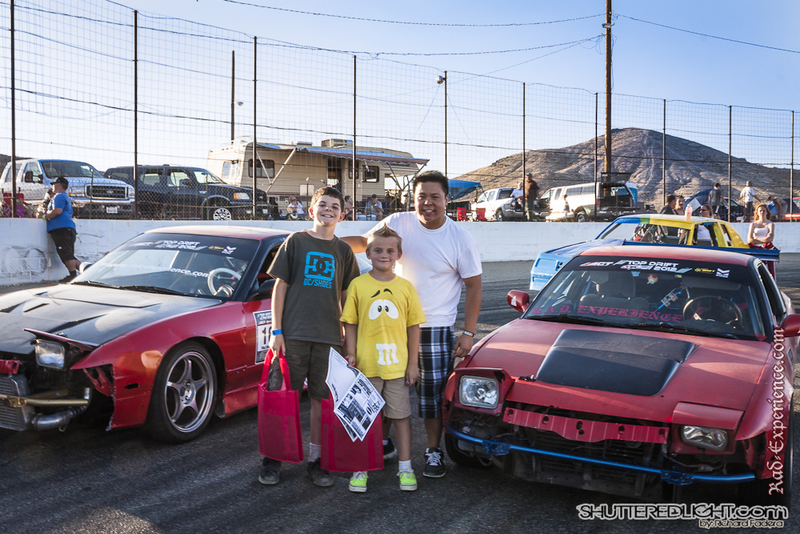 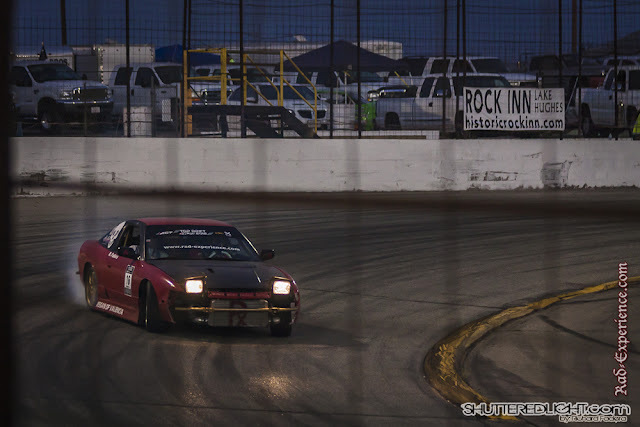 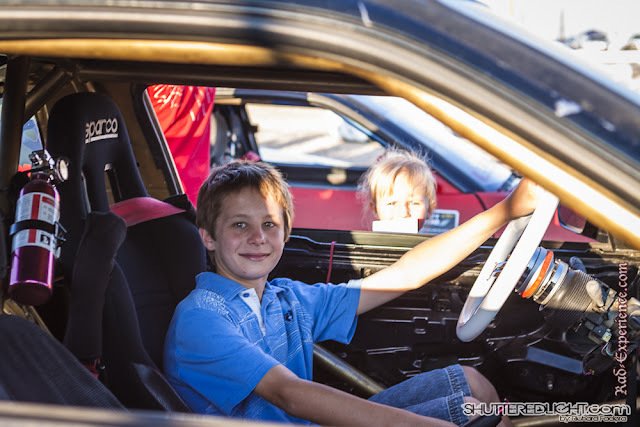 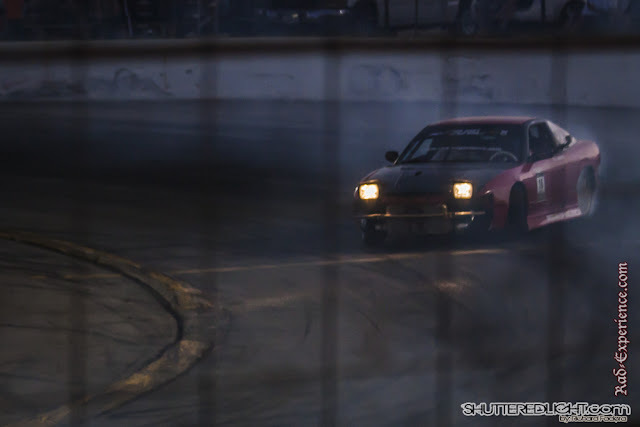 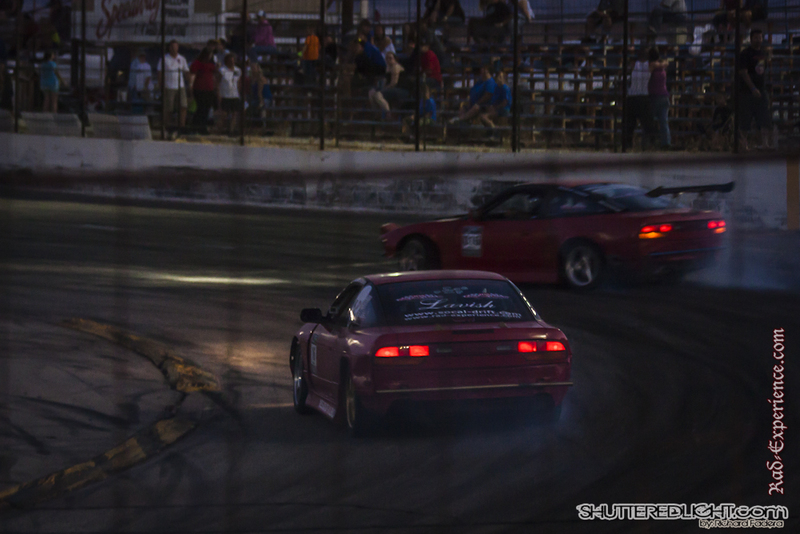 And here is David, one of the winners who got the chance to go shotgun in one of the RAD Experience Nissan 240sx. The track is really rough that makes it not easy for the tires. 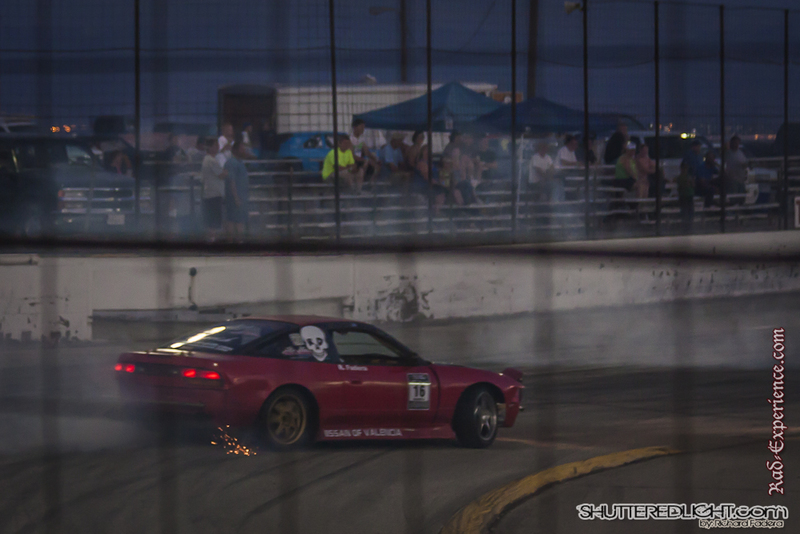 After several laps, there were sparks from the tires of Ryan's drift car. 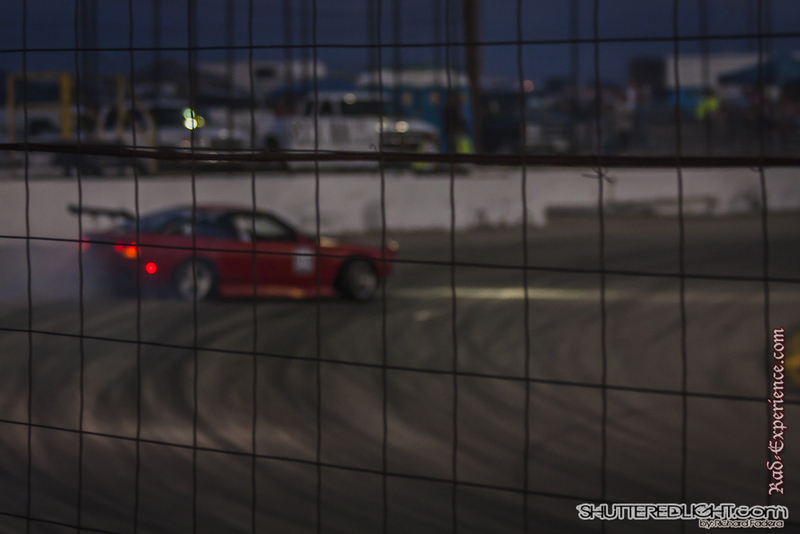 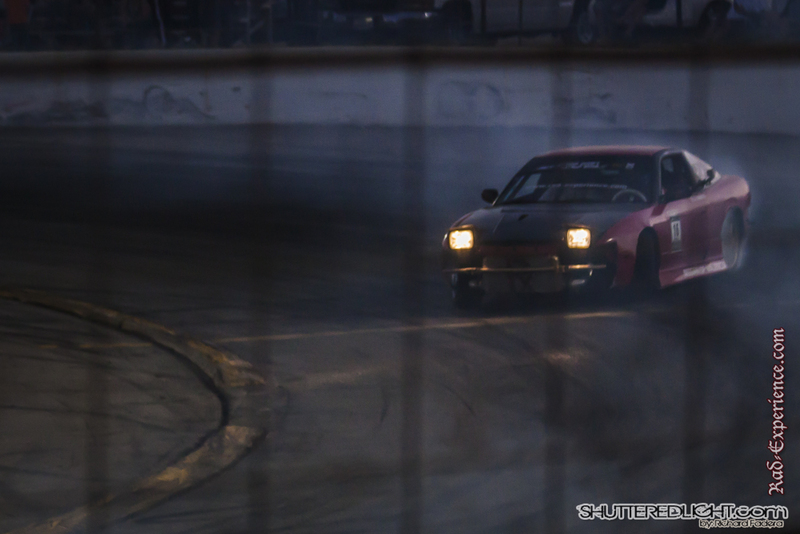 The drift demo ended when Ryan popped one of his rear tires. After the demo, the race resumed. 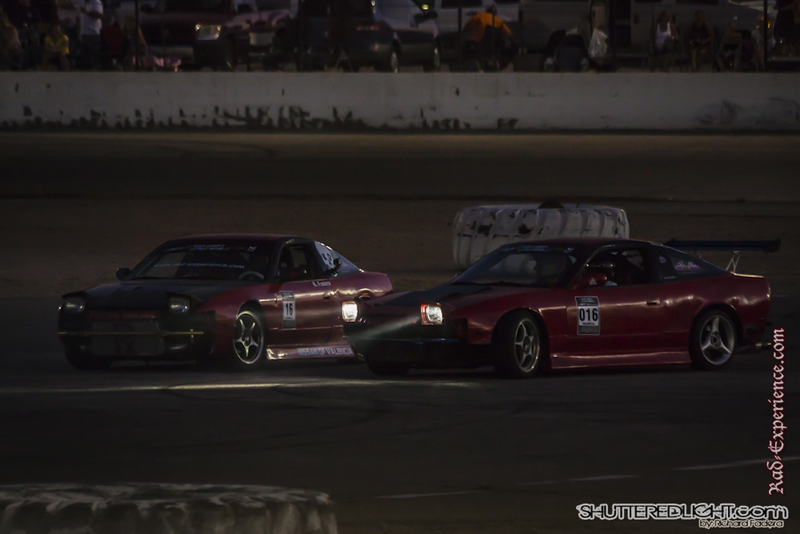 These drivers were pretty aggressive. 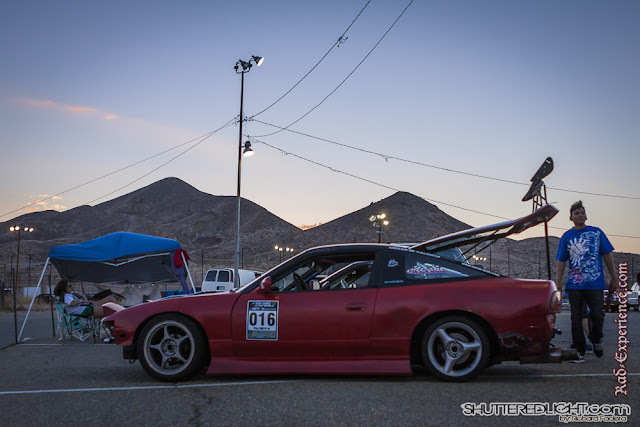 You will see a lot of bumping and grinding. 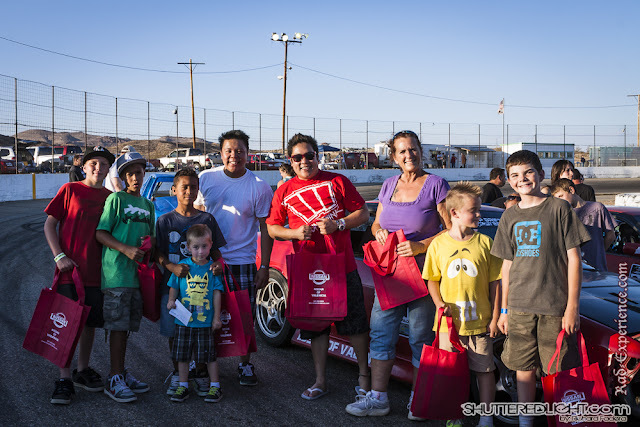 Thank you to our sponsors, Nissan of Valencia, Big Johns Tires and Performance, Lavish Salon and Spa, and for one11ink.